This is where things really do begin to get interesting. 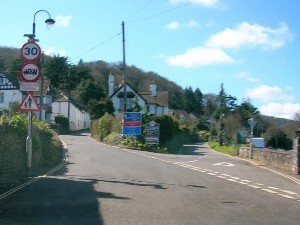 We arrive at the bottom of Porlock Hill where we are presented with a choice of routes. 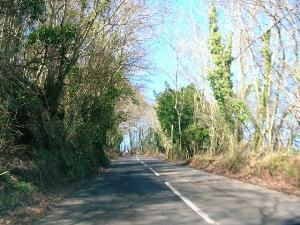 You can stay on the A39 by bearing left here, which takes you up the 1 in 4 Porlock Hill. It'll cost you nothing, but you've got a very steep climb ahead of you if you take this route. 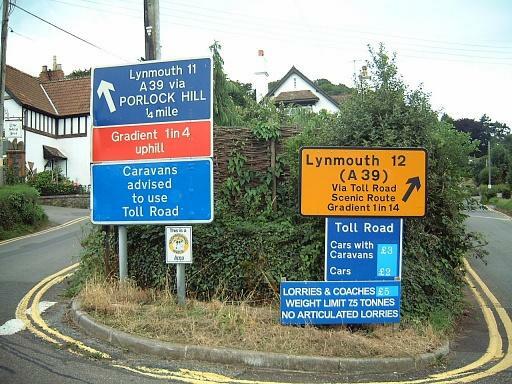 The alternative is to take the toll road to the right. 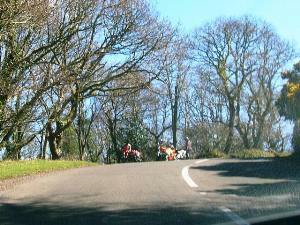 According to the signs, it is a mile further, but the gradient is a much more leisurely 1 in 14. It'll cost you a few pounds for the privilege. The second picture is another of Martyn Hicks' photos, this one showing the sign in more detail. However, this is an older photo, and closer inspection shows that the right hand sign in Martyn's picture has been replaced. 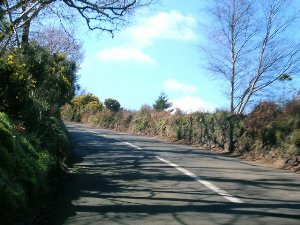 Here are a selection of my pictures from the climb up Porlock Hill. 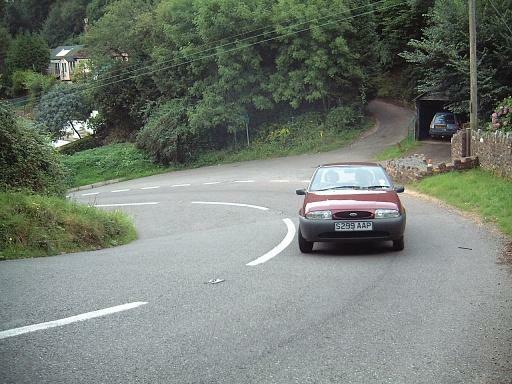 As they were taken from a car climbing the hill, it is difficult to convey just how steep this hill is. 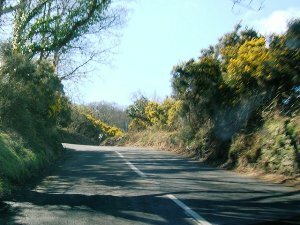 The reason that there are no more photos on the ascent is that my wife (who was driving at the time) wanted to see around the hairpin bends, and complained that the camera was in her field of view. Not that she put it like that... Anyway, as I decided that survival was more important than taking pictures, I put the camera away for a short while. Here are a couple more from the ascent that I took. 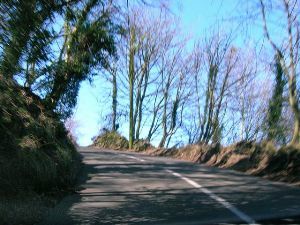 They are complemented by one looking down the hill, which was taken by Martyn Hicks, and does convey the steepness of the hill.